Take eggs, and draw the yolks and white through a strainer, And take onions, And Shred them small. And take fair butter or grease, and scarcely cover over the pan therewith. And fry the onions together, then let them fry together a little while. And take them up, And serve them forth so, all broken in a dish. Melt the butter in the pan. Beat the eggs in a bowl and add salt and pepper to taste. Fry the onions till tender and golden brown. Add beaten eggs and lower the temperature little bit. Carefully stir the eggs little bit and then let it cook. 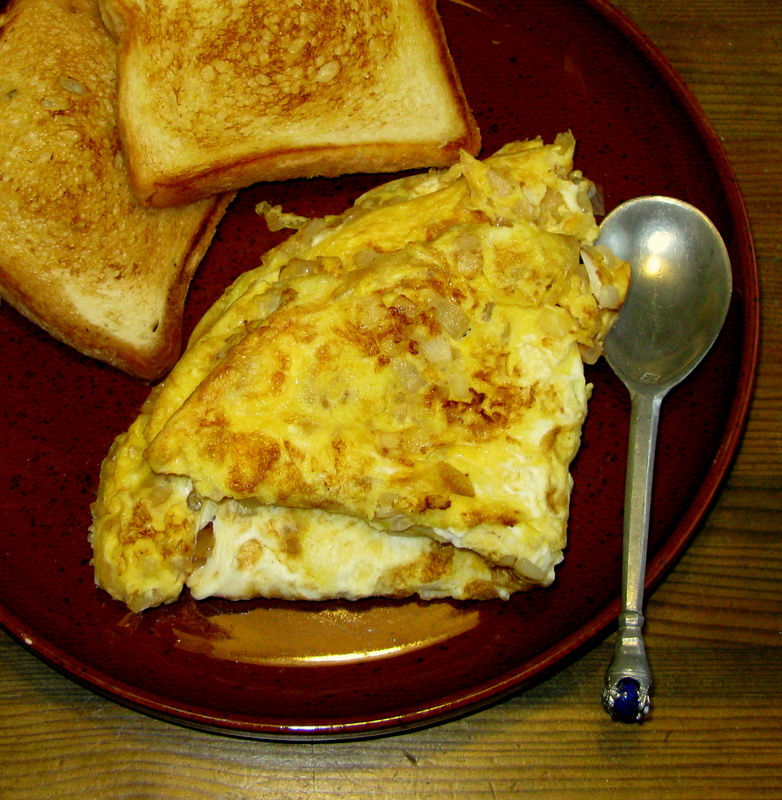 Cook until the eggs have set on the top and the bottom is golden brown. Fold the omelette in half and serve. This recipe is for 1-2 people. Comments: Salt and pepper are not listed as ingredients in translated text. It is quite common that salt is not mentioned in medieval recipes. It doesn’t necessarily always mean that salt is not supposed to add for the dish. So you can leave salt and pepper away if you wish. This blog is all about historical cooking, mainly focusing on the medieval and renaissance periods. I hope you'll get inspired and see that cooking is fun and easy. The modernized recipes are only my suggestions, so feel free to try out and make your own! This blog and material is in English and in Finnish. Check out the upper bar of this page! You can find all the recipes there :) enjoy! Sahramia, munia, mantelimaitoa. Tilaa tästä keskiaikaharrastajan keittokirja! Pääset tilaukseen napsauttamalla kuvaa.